This is despite the fact that price have been growing slightly in Germany over the past two years – in 2011 by just under 11% (by 2.5% in 2010). The prices of new properties in Berlin, Munich and Hamburg grew by 10 to 13%. To a significant degree, this growth is caused by speculation by foreign investors. Berlin in particular has become a target of “crusade” of buyers from abroad. Most of them are interested in buying to let. Despite this growth, property is Germany is even more accessible than twenty years ago – if compared with the household income or value of rent in Germany. 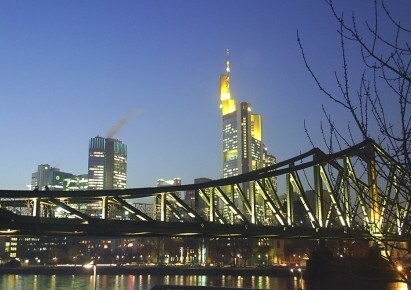 The statistics for the second quarter of 2012 indicate a slight decline in real estate prices in Germany – by -2.65% compared to the previous quarter. In the first quarter of 2012, prices increased by 3.9% quarter-to-quarter. The average gross yields from rent in Berlin are around 4% per year. Nevertheless, they can reach 8% for smaller apartments in quality locations. These are gross yields before deducting costs and before tax. The prices of older apartments in Berlin start at about 70,000 EUR. The share of privately-owned and rented housing in Germany is about the same, i.e. 50%, which means a higher share of rented living than most other European countries. From this perspective, investing into purchasing a rental property in Germany makes sense, because there are enough tenants and rent is increasing. Renting is so common in Germany also because there are effective laws that stipulate the rules of increasing rent. Despite the critical development around the globe in recent years, the German economy is still growing slightly. Unemployment is the lowest it has ever been since Germany’s reunification.